...is a great to show the time in a mysterious way. 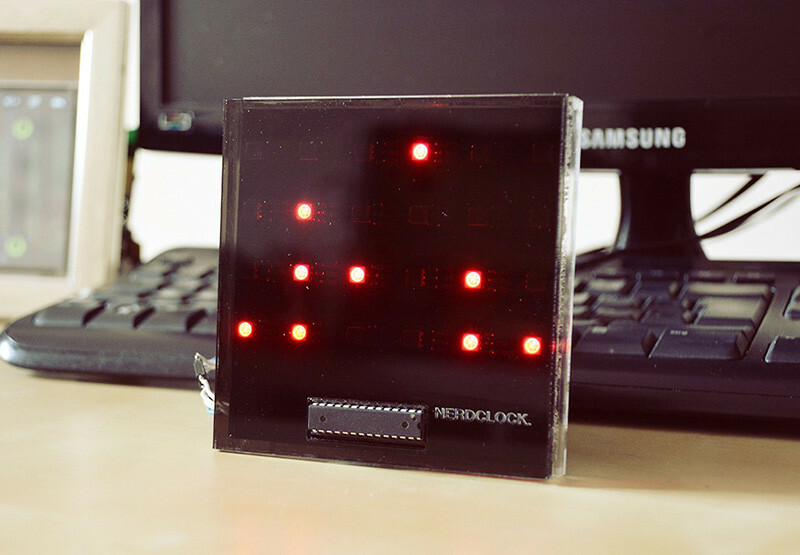 And to those who don’t know how to read that type of clock it’s a simple, yet effective way to boost up your nerdiness level sky high. 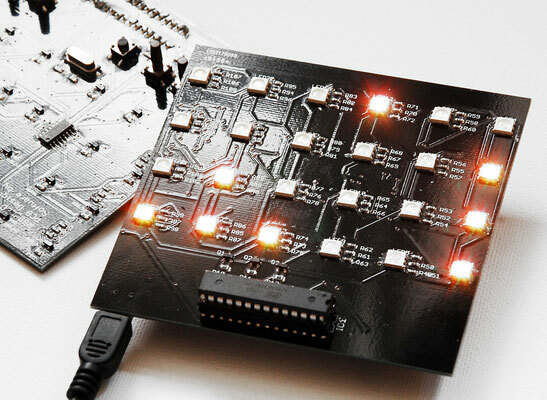 That might just be something you'd like to do? 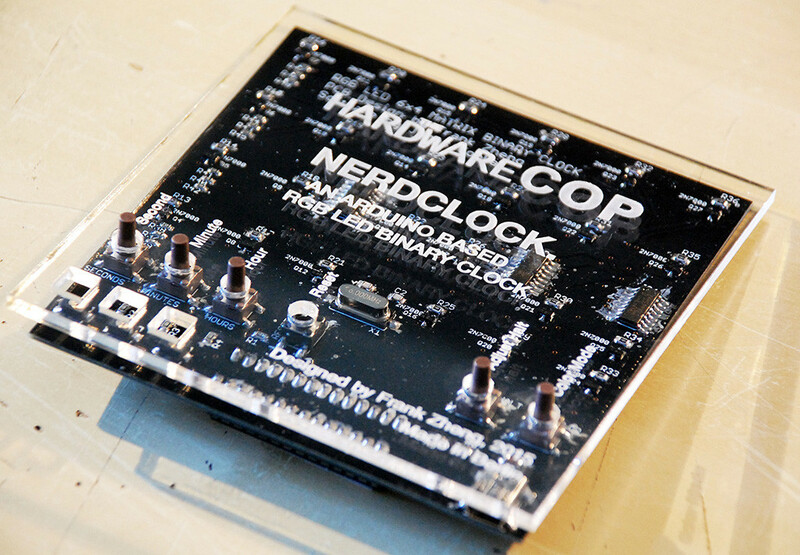 Get started and build your own copy of the hardwarecop NerdClock or get a pre-assembled NerdClock. Check out the details below. Get the original NerdClock PCB. 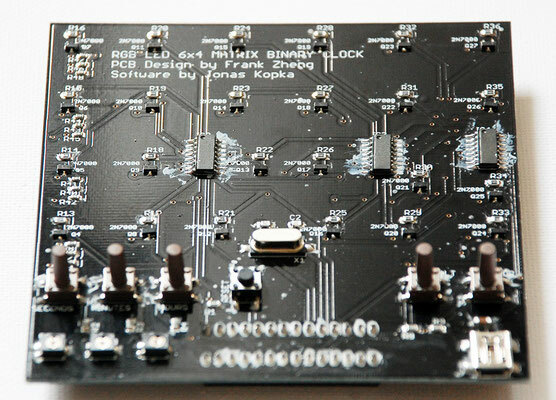 This option is great if you already have most of the components required to build this clock lying around and just need a PCB that holds all the components together! 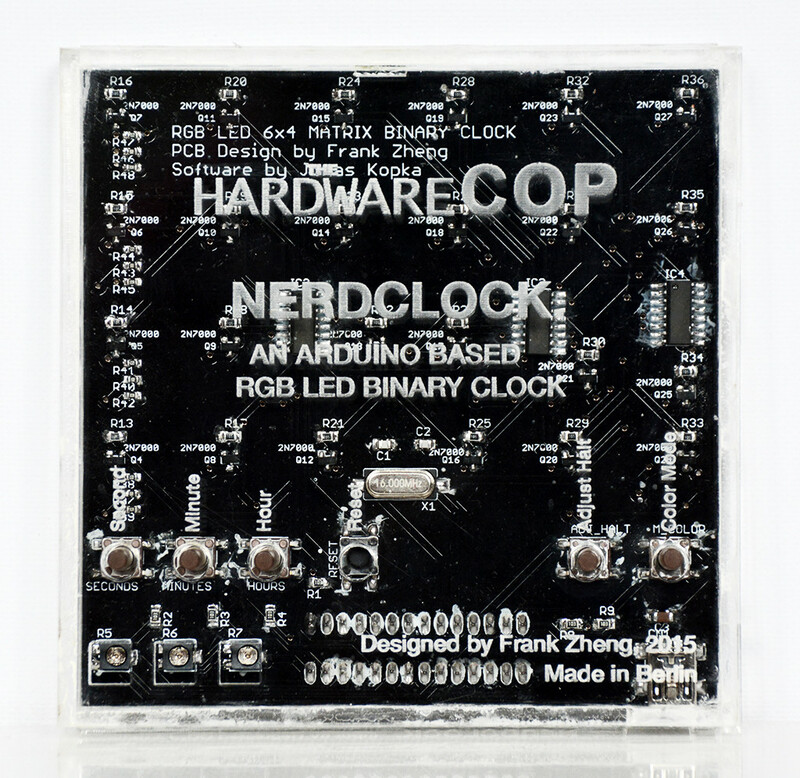 Get the original NerdClock PCB as well as every component and the pre-programmed NerdClock Arduino firmware as a kit to see how well good your soldering skills are! 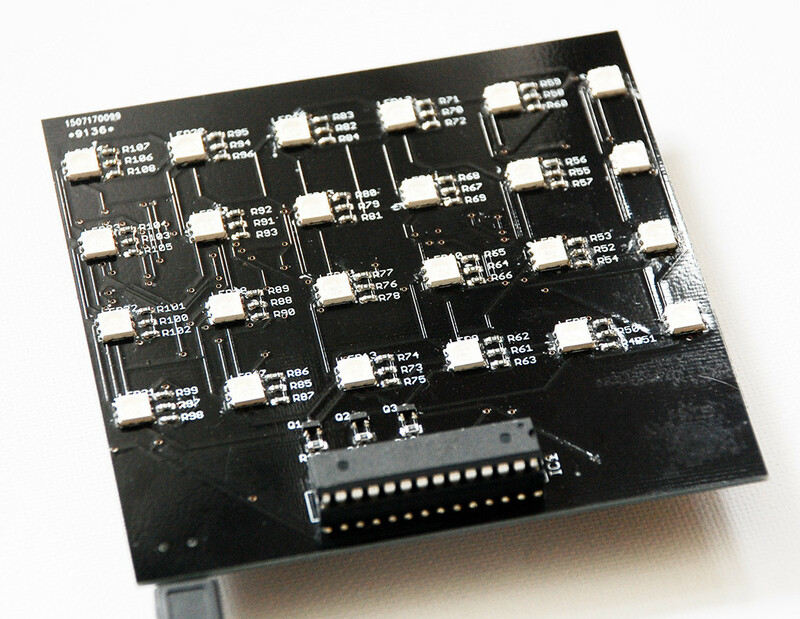 Get a manually preassembled NerdClock. 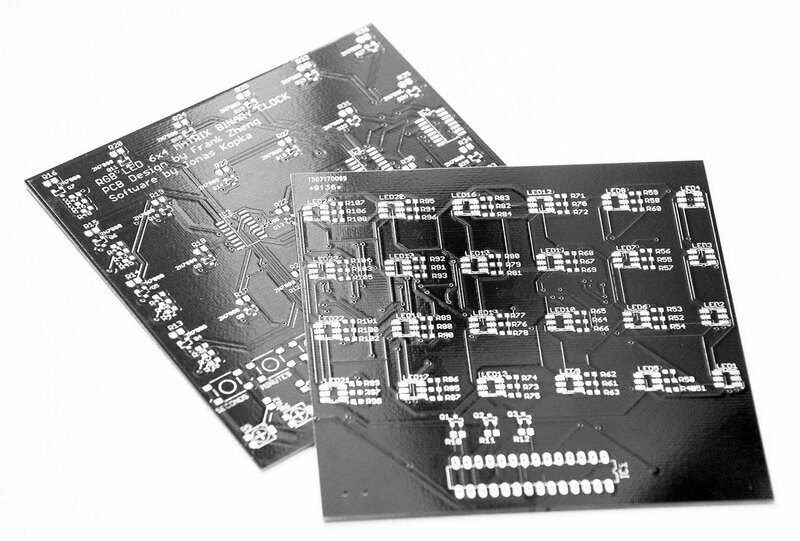 I will solder every component precisely on PCB for you and extensively test the quality of every single pad and connection of over 500 before you receive it. 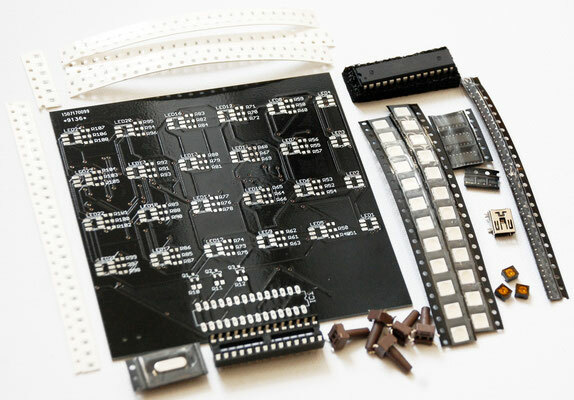 Assembly and test can take up to three workdays. 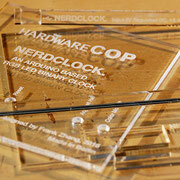 Get a CAD designed, laser cut acrylic case for the NerdClock. 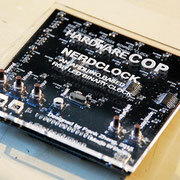 You will receive fragments as shown as you might modify NerdClock additionally. 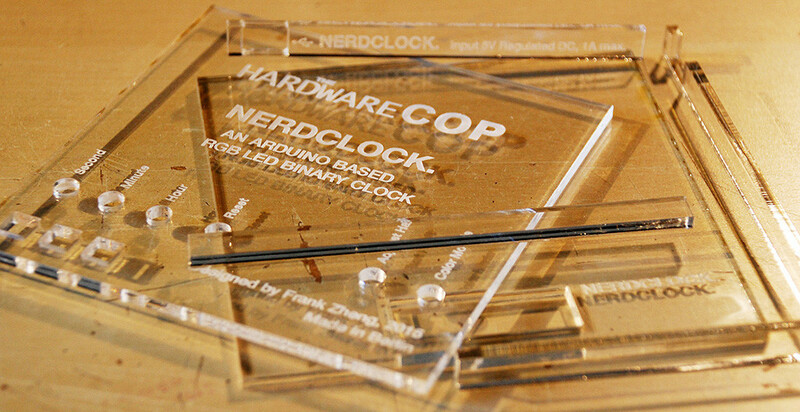 Insert the NerdClock PCB and seal the case with acrylic glue. 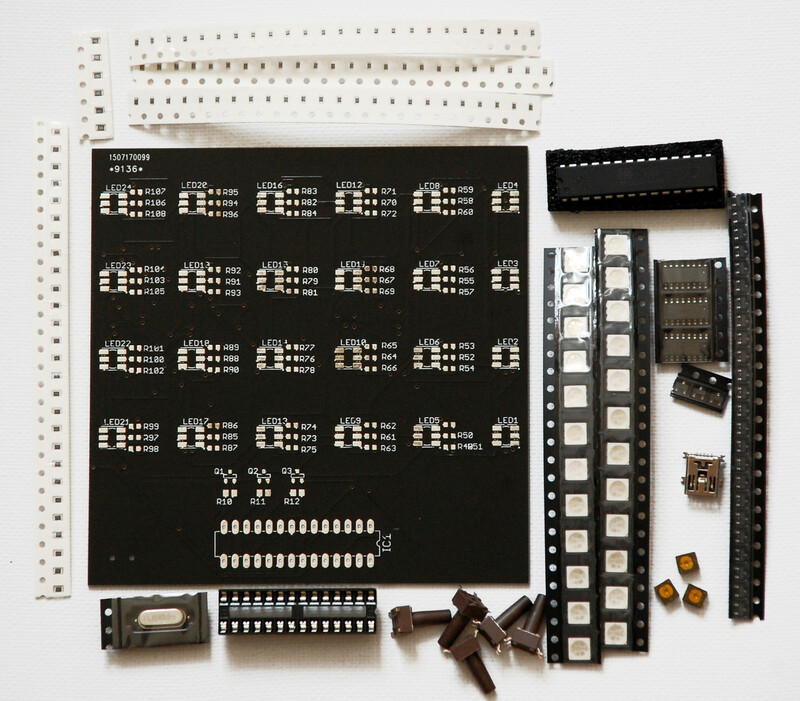 Check if you've wired and soldered every single LED correctly. 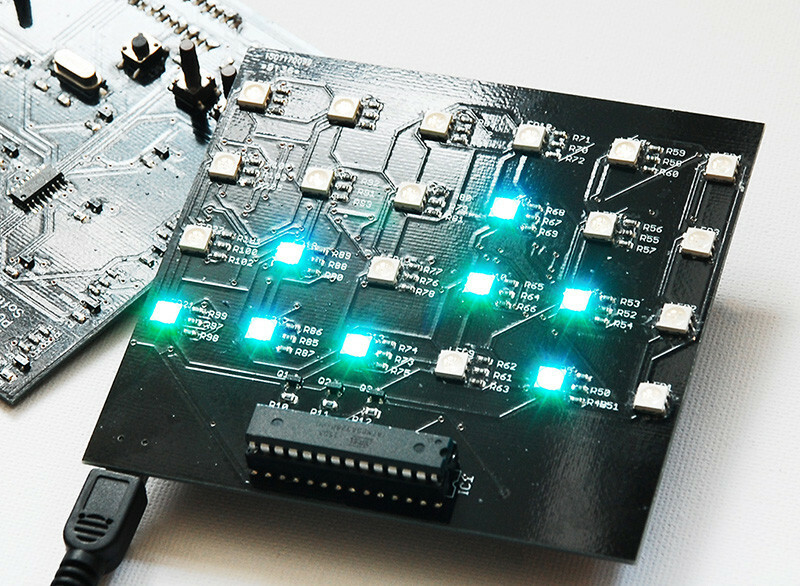 Assembly checker will automatically take your NerdClock trough a testing routine and you will see if anything is not-so-correct! 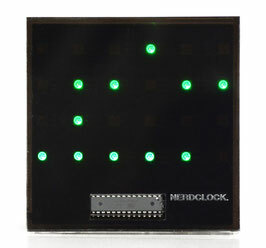 Download the NerdClock Arduino Firmware from MediaFire (external server)!